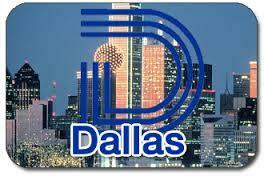 For all of your Dallas Roofing needs, DFW Best Roofing is one of the fastest growing roofing companies in Dallas, TX. The main reason for our growth in serving our customers is our commitment to quality and 100% customer satisfaction. We do every job right the first time and our DFW Best Roofing customers appreciate the quality and care we put into each and every Dallas roof we construct. Whether you need a new roof for your Dallas home or business, or you just would like us to look for damage, we will be more than happy to come out and fully inspect your roof.Our dedicated, full-time Dallas roofers are on call and ready to serve your roofing needs. DFW Best Roofing specializes in handling insurance claims. If you have weather or other damage to your roof, we can walk you through the entire insurance claims process. We work with all major insurance companies and we handle all of our Dallas Roofing customers insurance claims honestly, and efficiently. DFW Best Roofing, is Dallas`s #1 Residential and commercial Roof Replacement company. We replaced more then 350 beautiful homes throughout the Dallas area. What this means to you as a Dallas Roofing consumer is that you are working with a strong roofing company with a solid long history of installing new high quality roofs at an affordable price. We offer complete residential and commercial roofing installation services and we use only the finest roofing products and materials with highly experienced and professional Dallas roof installers. DFW Best Roofing is recognized as an industry leader in the Dallas Fort Worth area for roofing. Call us today for and get complete free estimate: Call 817 381 6855 today! We provide a 5 point customer protection guarantee eliminating any risks so you can feel 100% sure that you made the best possible decision. 1) Price - We guarantee in writing the final price before we start any work so you know there are no hidden fees, extra charges or surprises. It is our price promise! We do not accept any money until the work is complete and you are satisfied. Also, promise to beat any written bid by 5%. 2) Quality - Our Master roofer who is a foreman is present on every project to insure the absolute best workmanship is attained. We also provide a 7 year no questions asked labor warranty in writing protecting you from any future issues. 3) Materials - We use the best possible materials based on your choices. 4) Insured - We take on all the risk if anything were to happen on the job with our $2,000,000 insurance policies. 5) Proven Track Record - You can Google our reviews and see our proven track record. We were awarded the 2015 Houzz award for customer service. DFW Best Roofing has been providing reliable, high quality roof installations in Dallas, TX for almost a decade. When it comes to a first-rate roof installation in Dallas, our skilled roofers do the job right. We value our commitment to quality and high standards with every roof we install. 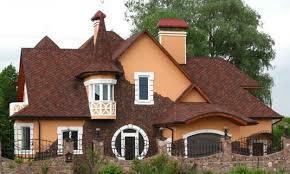 We at DFW Best Roofing have the expertise and dependability that you are looking for. 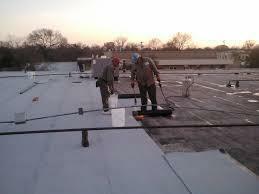 We offer the most professional and affordable residential and commercial services for roof installation in Dallas, TX. Give us a call and find out why we're Fort Worth's roofing experts of choice! DFW Best Roofing can successfully install a roof in Dallas using any roofing material in the market today. We install metal roofs, shingle roofs, and asphalt roofs. Just to name a few. DFW Best Roofing offers a wide selection of roofing materials to Dallas customers, so that you may choose the products that best fit your building's architecture and your personal preferences. Dfw Best Roofing has a proven track record delivering superior roofing installations in Dallas. Let our experienced roofers help you determine the right solution for your Fort Worth needs. Installing a roof in Dallas? Don't hesitate to call us! DFW Best Roofing are the leaders in roof installations for any building, office or home. Whether it's a metal roof installation or you need us to install a shingle roof , we are your go to roofing company in Dallas. For over a decade, DFW Best Roofing has been skillfully installing roofs in Dallas. We have built a reputation being dependable and affordable. We can trust that DFW Best Roofing roofers in Dallas are as courteous as they are knowledge and certified. Contact DFW Best Roofing about your roof install in Dallas, Texas. Our Dallas roofers will be happy to provide you with a competitive roofing quote/estimate and stand by the outstanding roofing service that we deliver. DFW Best Roofing, has built its high reputation as a leading Dallas Roofing company based upon quality workmanship, using best roofing materials, and customer service. DFW Best Roofing specializes in residential and commercial roofing services. 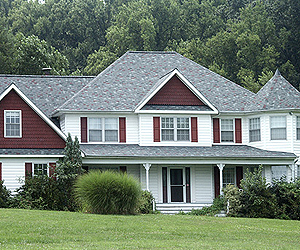 We are a locally owned company with over 10 years experience as roofing contractors. We serve the roofing needs of the Dallas metro area. We provide your home or business with superb workmanship, and we can handle any roofing projects in Texas. At DFW Best Roofing, our Dallas Roofers really take pride in installing the highest quality roofs possible – including new roof installation, roof repair, roof restorations, roof rebuilds. We are also experts in hail damage roofing repair. Trying to decide which Roofing Contractors in Dallas to use for your roofing repair or new installation? DFW Best Roofing offers these advantages over other Roofing Companies in Dallas. Will pull any permit to get your roof done. Insured, & in compliance in all cities and counties. Dallas Roofing Contractors proudly providing roofing services to the entire DFW metro area including Dallas, Fort Worth, Irving, Burleson, Carrollton, Euless, Frisco, Garland, Graham, Grand Prairie, Grapevine, Mesquite, Plano, Richardson, TX and surrounding areas.